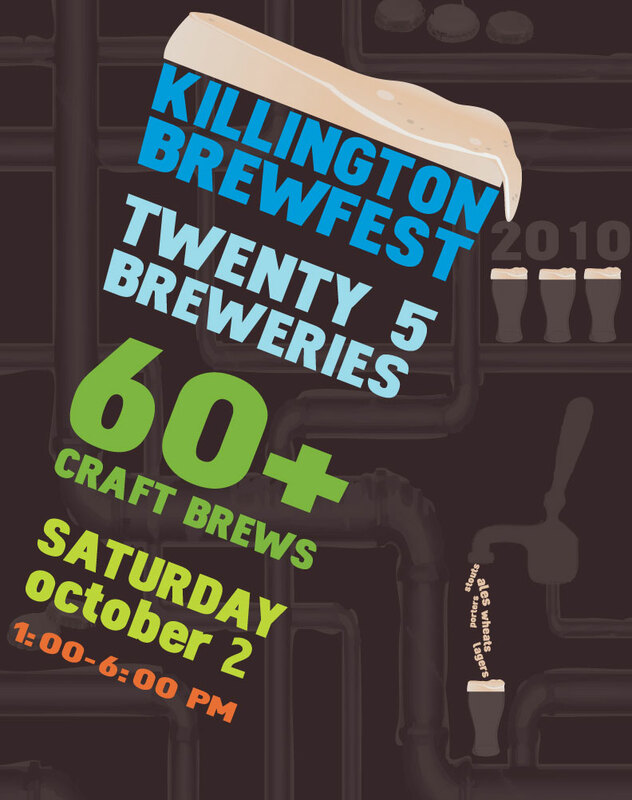 The 2010 Killington Brewfest is all set for October 2, 2010 at the Snowshed Lodge. This year marks the 15th anniversary of the event. Also new this year is the Brewmaster VIP Dinner at the Wobbly Barn on Friday, October 1. This $79 ticket gets you a VIP 4-course dinner prepared by Chef Justin Blais. He’ll pair Vermont brews (Long Trail Brewing Co., Harpoon Brewery, Magic Hat Brewing and Otter Creek Brewing) with culinary creations from local producers. It also includes admission to the Brewfest on Saturday. Lodging packages are also available from Killington Resort, but of course, members of the Snowdaze Killington Ski House enjoy a free weekend at the house to mark the early kick off to the season.